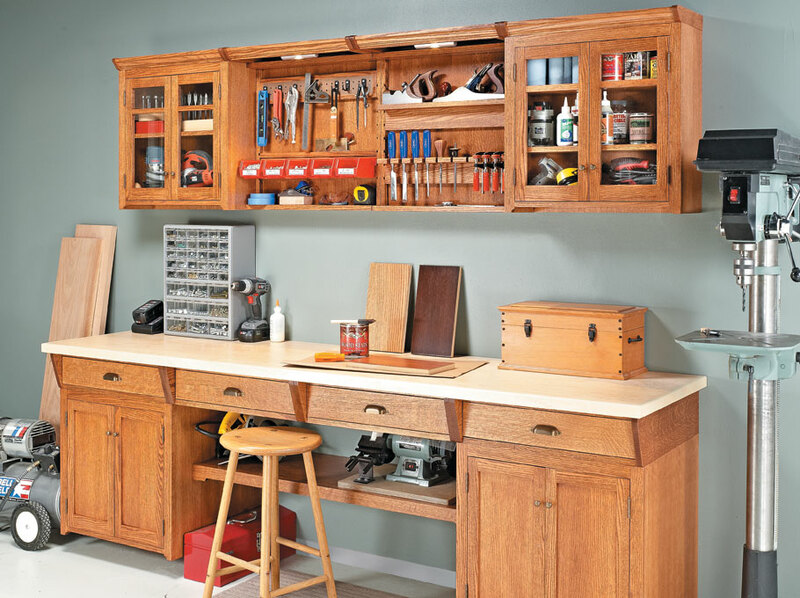 It doesn’t take long for a shop to fill up with tools, accessories, and supplies. 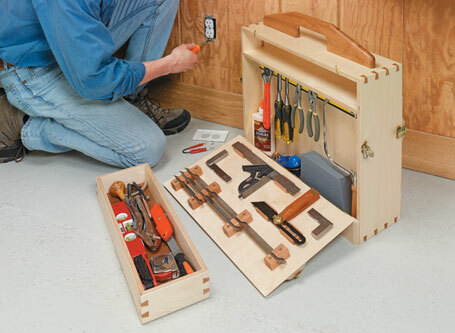 The trick is organizing things so you can find what you need. 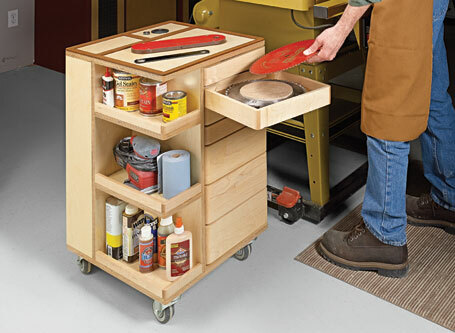 The shop storage system you see here fits the bill. 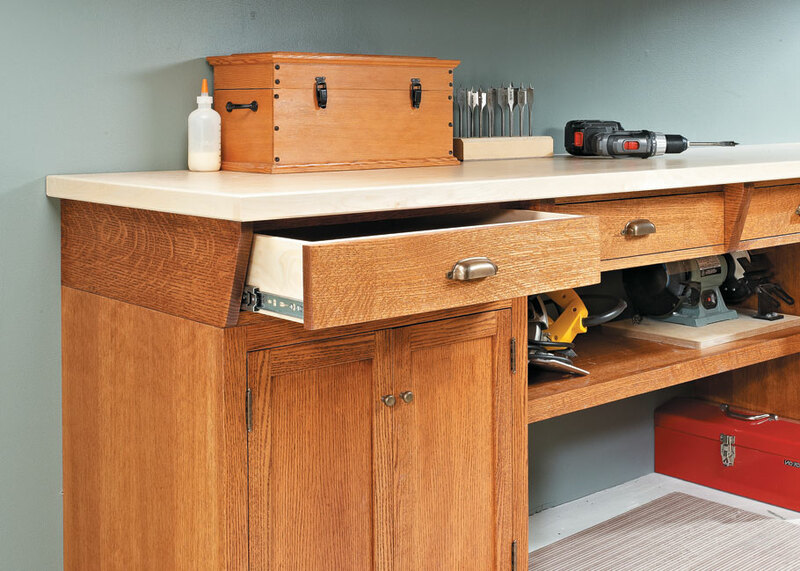 It offers a range of storage options and even adds a handy worksurface. The secret to its quick construction is modular design. 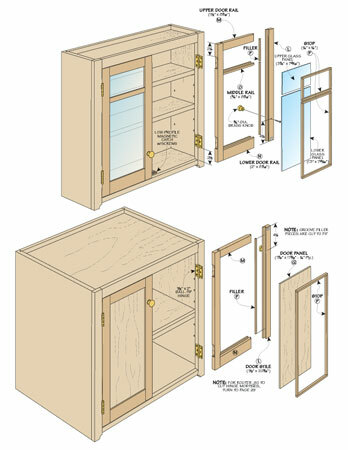 For example, the upper and lower cases are the same height and use identical joinery. So once you’re set up, cutting the joints goes quickly. It also means the doors and face frames are identical. There’s another advantage to this approach. It allows you to customize the setup. 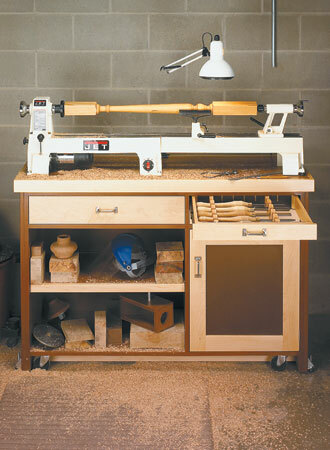 You can alter the layout to suit your shop space, tools, and needs. 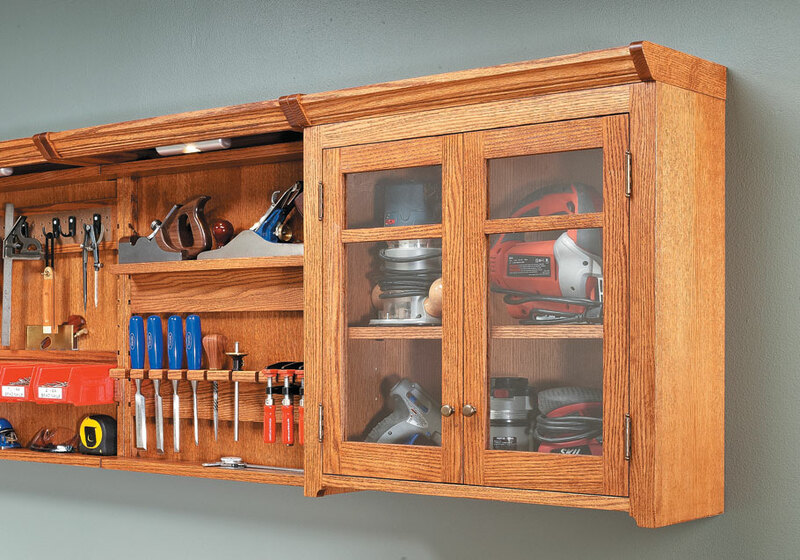 Finally, in spite of the modern construction techniques, these cabinets have a timeless look that will make spending time in your shop more enjoyable.